I will ask why I can\'t dissmis my hero,Why need bestow?? 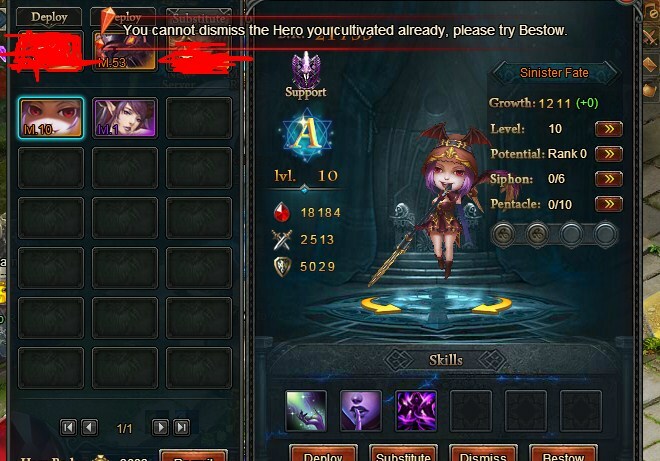 before update I can dissmis hero like that but now can\'t, It\'s bug?? It is because you have upgraded it. I agree needs to be fixed! 2019-4-21 01:04 GMT+8 , Processed in 0.048600 second(s), 38 queries .